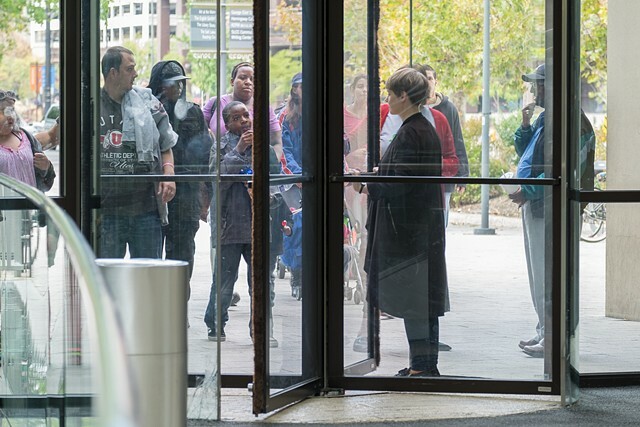 Revolving doors, like all doors, serve as conduits between the inside and outside world. 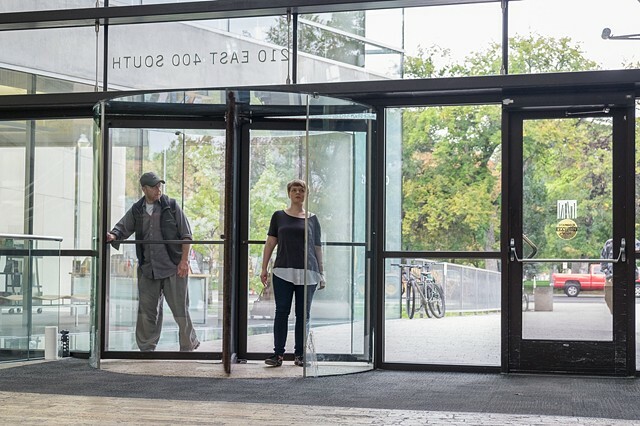 The revolving door differs however, in that it allows simultaneous entry or exit that only functions when collaboratively activated through an unspoken agreement between strangers. This agreement requires one to balance their own physicality in relation to the door and to the others inhabiting it. It is a space for both giving weight and waiting. If the agreement is broken, if care isn’t taken, the encounter can produce undesired results. 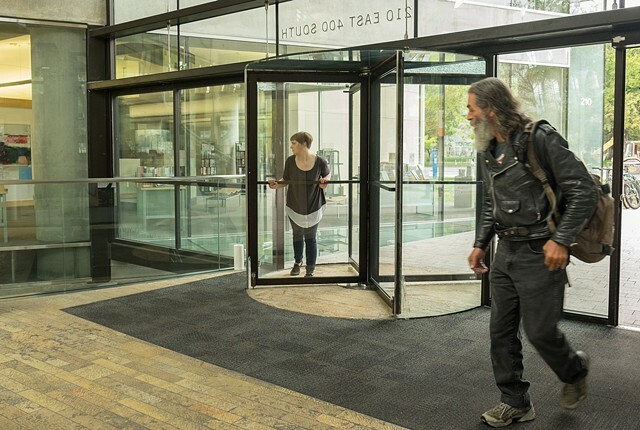 Despite the revolving door’s governor, one might find themselves rushing in the wake of someone else’s frantic pace, or on the contrary, doing all of the pushing on their own. The result of all of this is an intimate exchange that manifests between strangers within the public realm. 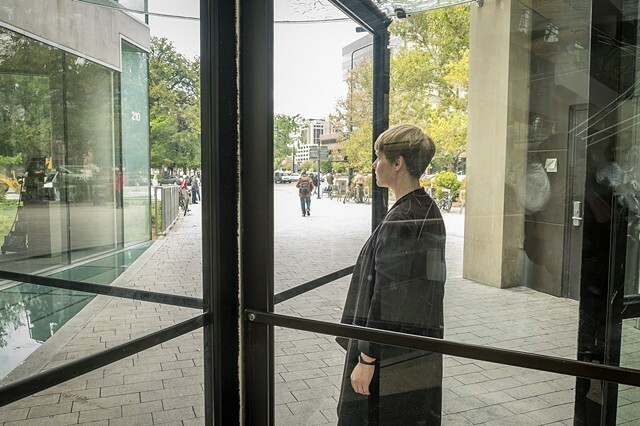 Sited in a revolving door at the entrance to The Urban Room of the Salt Lake City Library, I created a performance that explored the notion of agreement, re and de-contextualization, and ways that time is experienced and perceived between bodies.